The new Microsoft Surface RT has been making a buzz since it was released. Did it beat the iPad? Well, we have yet to see as it is still too early to say but it does have some standout features that are great for business use. It’s very tiring and time-consuming to type on the iPad especially if you are used to typing on a keyboard. You can’t finish your work quickly if you use the on-screen keyboard on the iPad. The solution is to buy an external keyboard that connects to your iPad but since it’s an Apple accessory, it definitely costs some dough. You won’t have that problem with the Surface. It comes with its own keyboard that doubles as its cover. The keys are slightly raised making your fingers feel as though they are typing on a keyboard. You can also fold off the cover and prop up the Surface making it look like your tablet has turned into a laptop. You can also let your personality shine by choosing your favorite color. These are available in several colors that are sure to perk up your day. You no longer have to be stuck in either black or white. The problem with the iPad is if you want a good document creation app, you have to buy it. 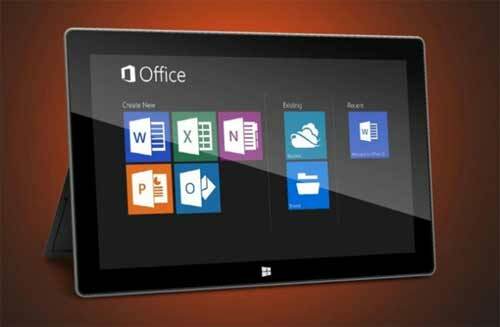 With the Surface, you get the Office 2013 for free! You get Word, Excel and PowerPoint. It also comes with OneNote 2013. OneNote is an information gathering and collaboration tool in one. You can also save your documents to Microsoft SkyDrive, Microsoft’s cloud storage so you can access your files anywhere. Battery life has always been a problem with Apple devices. Samsung devices actually topple them in this category. This problem is more pronounced now with the Lightning connector. The Surface lasts for almost 10 hours so you can take it with you wherever you go and not worry about recharging in the middle of nowhere. You also don’t need to turn off battery-sucking features and even dim the display light to save on battery life. You can now connect to several gadgets by using Bluetooth 4.0, a USB port and a microSD port. You can now use your mouse, a digital pen, other keyboards, webcams and even view photos from your camera using your Surface. These are but a few features that make the Windows Surface RT stand out over the competition. 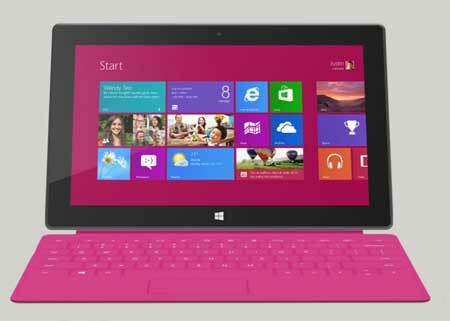 Discover more when you buy the Microsoft Surface for your business or personal use. This article was brought to you by http://www.businesstelephonesystem.org, your number one mobile source. I’m looking forward to trying one of these out soon. I use a really good Targus bluetooth keyboard with my iPad and works well, overall though Surface is more tablet like but you can’t run x86 programs on it, however saving Excel, Word docs to Skydrive and opening them from your PC and Tablet are awesome. You kind of can achieve the same thing with Dropbox on iPad and definitely with Android and Google Cloud for any Google Docs documents but is easier with the Surface. Still, with the 32GB really giving you 16GB of space, I would choose a Google Nexus 10 tablet over the Surface. Resolution better than iPad Retina display, in every way it is superior and you can get a bluetooth keyboard fairly easily. There are easy ways around batteries, external battery packs and something like the iZen Power Folio case can give you 20+ hours of iPad battery life and serves as your case/battery extender in one device. Does the surface run as a true lap top? Can I dump an external hard drive from dead PC onto this and access files? Wonder if .doc files will open on W 8? I have determined I need to run Mac and Windows side by side. Now that Apple and Java have ceased compatibility and Chrome doesn’t run Java on my meeting hosting platform, I need a single solution! Firstly, make sure your external hard drive works and is safe. Secondly, YES you can access the files stored in hard drive. Just make sure your external hard drive is compatible with Windows 8. Great comparison. I have tried the Surface and really like the keyboard in the top picture. The pink smartcover keyboard is much prettier but harder to type on. I agree with you, having a tablet with a keyboard is very handy. My iPad 1 and 2 had great battery life. My iPad 3 doesn’t have as strong battery life, but that’s because of the Retina display. 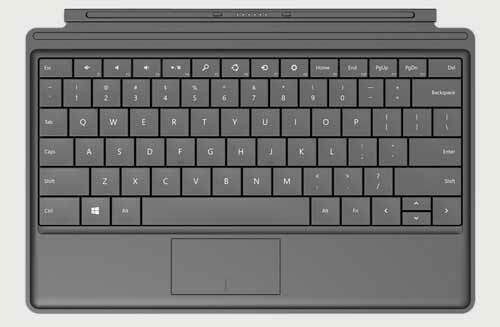 The Surface has a lot of features that help it to function as a portable laptop which makes it very useful in daily life. The keyboard is what sets it apart from all the other tablets! You can easily connect it and disconnect with no hassle. Everything about the surface is great but the only drawback now is the lack of apps in the windows store. If they can manage to increase it like the ones in play and itunes store, I can smell a tougher competition in the days coming ahead! It really looks like a great product. I can’t wait to get my hands on one to check it out myself. I love the fact that it has a real keyboard making it much easier to write on compared to a traditional tablet. Never had a problem with my iPad battery lasting 10 hours. That said, love this comparison! 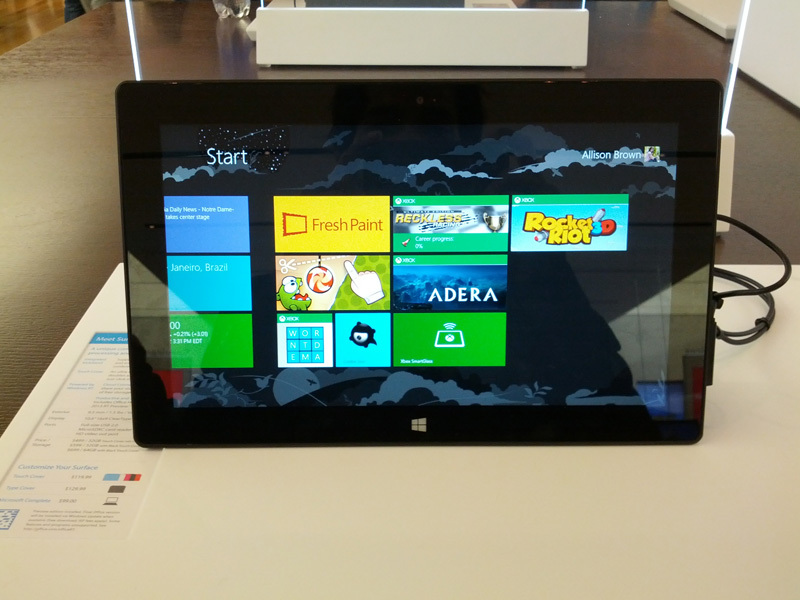 Glad Microsoft is doing hardware – perhaps this will raise the bar for all tablets. I can’t justify more than one tablet for myself, but with free office, I can definitely see a good reason to get my brother one for Christmas! I must say that the product is really great. Battery is one of the reason why most buyers choose to have the quality product. Thank you for sharing these it is very helpful for the next buyers who want to purchase the product.